Ultimate Fighting Championship (UFC) Heavyweight finishers Stipe Miocic and Alistair Overeem clash TONIGHT (Sept. 10, 2016) at UFC 203 inside Quicken Loans Arena in Cleveland, Ohio. In a match up of boxer and kickboxer, what adjustments must be made for either man to claim victory? Let’s break it down. Miocic came into the UFC as a solid athlete with some good fundamentals, but he’s grown into a champion. He’s knocked out his last three opponents, and the Ohio-native now has a chance to defend in front of his hometown crowd. Meanwhile, Overeem was forced to make changes since beginning his UFC run, but they’ve worked out tremendously. “The Reem” may be smaller, but he looks better than ever. Keys to Victory: Miocic is a very technical boxer and wrestler. He blends those skills together well, and he’s also pretty skilled at utilizing his full range. In this bout, Miocic faces an interesting challenge. Usually, he’s happy to maintain his range, where his sharp jab and hard low kick can quickly soften up his foe and help him find an opening for the long right hand. However, that probably wouldn’t be a great strategy against Overeem, who currently works as a distance kickboxer. Normally, that would suggest that Miocic should pressure his foe and wrestle, but Overeem is a nasty clinch fighter as well. 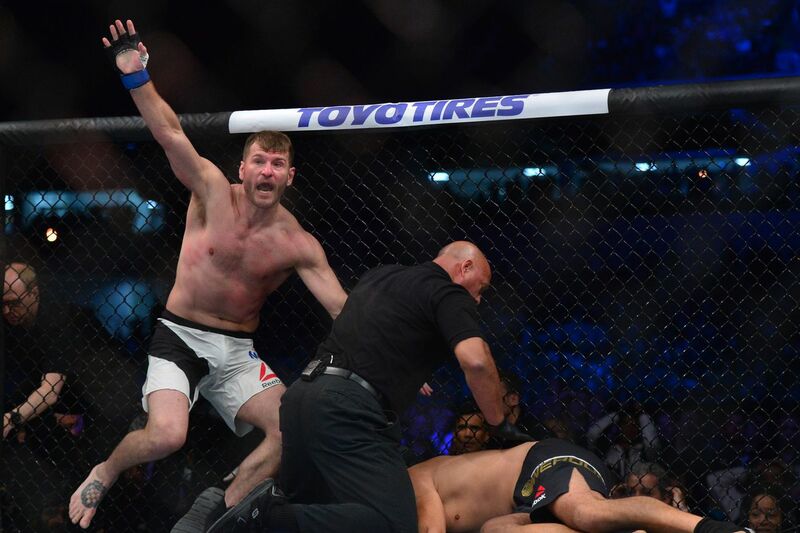 To defeat Overeem, Miocic needs to create boxing exchanges. Overeem is not helpless at that distance, but Miocic is the far more durable man and should be happy to take a shot to land one if necessary.